If you are a drone enthusiast, you may have wondered from time to time exactly how a drone manages to fly. Today, let’s talk about various drone body parts and how they help keep the machine up in the air. It all starts with a solid, durable frame. If the frame, also known as the chassis, breaks down, so does every other part of the drone. 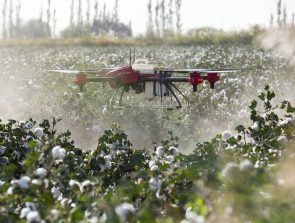 That is why only those drones should be considered for purchase which carry a frame made of high-quality materials, like high-grade glass fibre and polyamide nylon. A stylishly designed chassis can also go a long way towards improving the look of your drone. The frame should be easy to assemble. 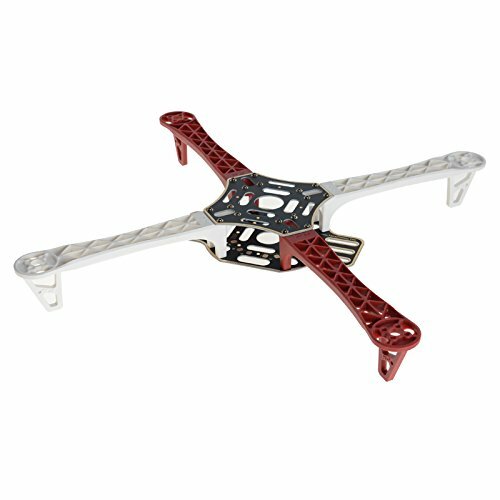 The frames of the best drones help maintain proper orientation in mid-air using various attachments, such as a tiny ball. This is the electronic combo that allows you to directly control the aircraft. The more channels your transmitter/receiver has, the more functions the aircraft can perform in the air. 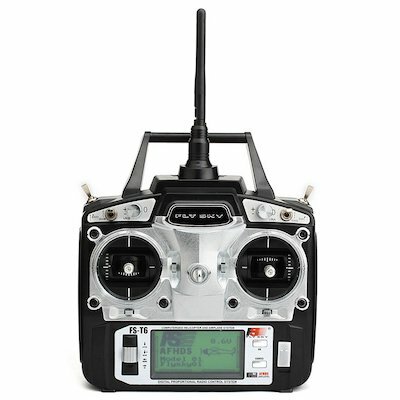 The best transmitters not only help stabilize the control of the drone, but also allow the pilot to react quickly to changing flight patterns. This is the part of the machine that carries the software used to fly the drone. The software is put to use not only for monitoring the flight, but also configuring the device to fly the drone under different conditions. The more compatible the software is with major computational platforms like Linux and Windows, the better it will be able to do its job. In general, however, make sure the controller has maximum compatibility with the particular configuration you use the most for flying. At any given moment, the drone has to supply electricity to various parts of its body, from the motors to the flight controller. 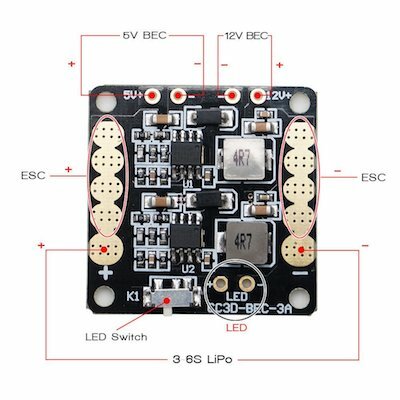 The power distribution board is used to ensure electricity is distributed efficiently among these parts for the best possible flying experience. Basically, how many power input contact points and output contact points the board carries will determine how efficiently it performs its tasks. Although slightly more expensive, PCB contact points which are plated with gold or other highly conductive materials exhibit the most efficiency and a long life. A high quality processor embedded within the Electronic Speed Controller (ESC) allows for a comprehensive range of functions. 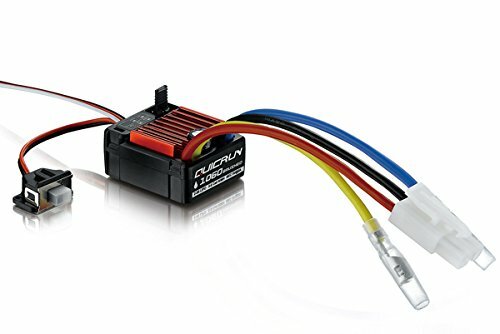 You use the ESC to control the speed of the drone, achieve fast refresh rates, and bring the flight time under a definite group of specifications. 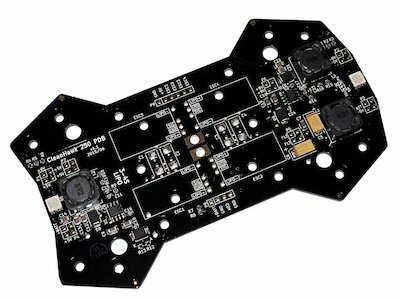 Since many ESC tend to overheat from their functioning, good quality ESCs also have a temperature management system. The basic function of this system is to reduce the electrical output once the temperature reaches a certain limit. 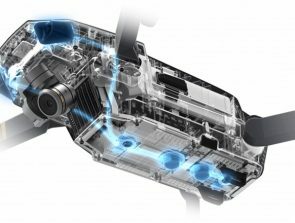 The most well-known parts of the drone are its motors. Quadcopters carry four motors on their frame, and these are responsible for lifting the machine off the ground and keeping it in the air. 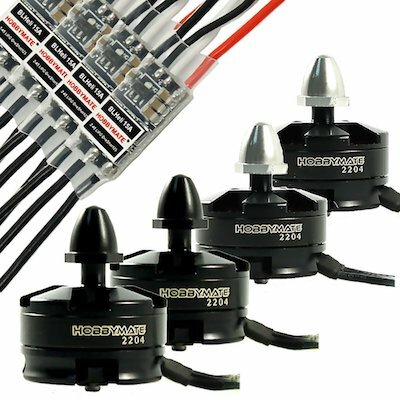 A basic math formula is followed for deciding on the number of motors and their size, where the weight of the quadcopter needs to be compensated for with at least double the amount of thrust supplied by the motors. These help facilitate the lift-off for the quadcopter, and are often the first thing that come to mind when you think of a drone. Spacer rings are used to keep the props attached to the motors. The props should not be entirely rigid, but should rather carry a bit of flexibility to better withstand the wear and tear of a flight session. 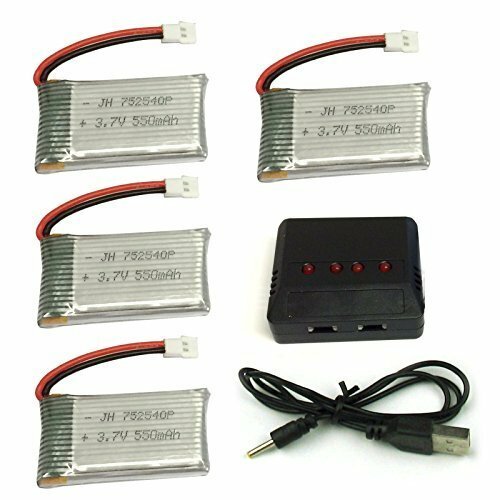 A good battery for your drone means you will be able to enjoy a longer flight time and quicker recharging. Heavy duty batteries with matching cells is an essential aspect of a good drone battery arrangement. A battery which is highly conductive will serve its function much better in terms of providing electricity for the drone body. The power supply for the batteries is facilitated by the adapter. It connects the battery to the power supplied by wall outlets and makes sure the battery gets charged without overheating from excess power supply. The right charger can make all the difference between a drone battery that lasts for years and one that barely lasts a month. If the charger carries the wrong power input or output, malfunctioning can lead to the battery leaking energy and becoming unusable. That is why it is often advised to get an adapter which is specifically suited to a particular drone, instead of trying a one-size-fits-all approach with one adapter and different drone models. The parts mentioned above are common to almost every drone model out there. 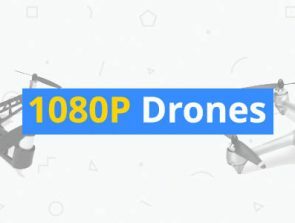 But there are several additional drone components that are referred to as add-ons, and which may or may not be available with the drone depending on price and functionality. These add-ons include such devices as cameras, video-recorders, sensors and landing skids. 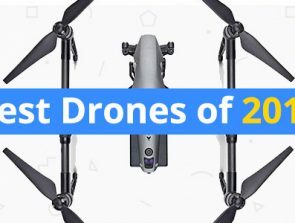 You should opt for the add-ons which will best suit your needs, and which help provide the kind of experience you desire to have with your new drone. Is about the drone was faster his flying on the sky.